Internet technologies promise to deliver education to the masses, but how well do they perform? Eleven Ireland-based educators and I registered to find out. We enrolled in an online “Supporting Virtual Communities” module (what we in the USA call a “course”) offered by DIT’s Learning, Teaching and Technology Centre (LTTC). We were united by the belief that teachers need to study teaching, in addition to studying the disciplinary subjects they teach. Over a period of five weeks we have learned to use various web platforms and tools for collaborative learning. We gathered, virtually, to complete assignments with peers near and far. In the final week, for instance, while I was in Lisbon we finalized and submitted a group project. In the class, we also made group presentations online, used Google docs and Blackboard wikis to construct new ideas, Tweeted our discoveries, and designed blog sites to prompt learning. We heard guests speak from as close as Dublin and as far as Australia. The teachers worked very, very hard to plan and conduct this course well. I took this module because I believe in the power of collaboration and online learning. I love emerging technologies and collaborative environments that spark creativity and innovation. To complement what I was learning, I read the books Zero to One (Thiel & Masters, 2014), How Google Works (Schmidt & Rosenberg, 2014), and The Click Moment (Johansson, 2012) in tandem with this module. In the course, I learned how to create and sequence online assignments (what Gilly Salmon calls “e-tivities”). I learned that the most important role of the online tutor involves providing clear structure and timelines, and monitoring student engagement to keep them from getting lost or disengaged. I found that for a student—overwhelmed by the proliferation of tools and portals offered in academic software packages like Blackboard—it can be all too easy to fall through the cracks. I firmly believe that every person who teaches online should take an online module as a student, to understand the student experience. Online learning is much different than anything I’ve encountered in my 24 years as a degree-seeking student or 15 years as a full-time educator. In this case, I had to construct new ways to become interested and engaged as a learner. For me, simply being in contact with teachers and peers in a traditional classroom or studio setting energizes me. It peaks my interest and gets my creative juices flowing. In such settings, I easily and consistently generate my own personal set of goals for learning—goals that work in concert with the learning objectives embedded in each assignment. I am able to layer additional learning objectives on each assignment, supporting and furthering those goals. Accomplishing this hasn’t always been easy for me in the virtual classroom, especially when I can’t get a clear sense of the expectations and performance goals (much less tailor the assignments to my own learning needs). In recent weeks, I’ve discovered that I’m a highly visual learner—I retain very little of what I hear when there is no corresponding person (speaker), image, or text to see. I believe I’m not alone. I feel I have not yet experienced transformative learning through a MOOC or Blackboard environment. I long for better tools, and I hope to contribute to momentum to this effort by teaching a blended learning course in July for the College of William and Mary. I also plan to start an MSc in Computing Sciences (Data Analytics) to help me do the type of work described in Daphne Koller’s 2012 TED Talk. I sincerely believe in the principles behind online learning, and opportunities it offers. I want to increase social equity by making quality education available to more people as described in Salman Khan’s 2011 TED talk. I want technologies to improve so we can use them as effectively and efficiently as envisioned by Christensen, Horn, and Johnson’s (2008) book Disrupting Class where computer technologies adapt to the learner’s needs and pace of learning. I know firsthand that online learning can be fun, engaging, effective, and collaborative. 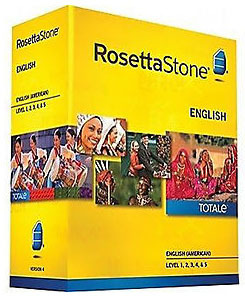 I learned more using Rosetta Stone than I would have in a physical classroom. Using it, I achieved much better pronunciation than I’d ever reached in traditional classroom environments. I began to realize that, in the typical language classroom, students get precious few opportunities for verbal practice and correction. As a result, the years I spent studying Latin, Spanish, and Italian had never enabled me to speak effectively. However,The “TOTALe” platform provided highly effective speech recognition tools, interactive games, and on-line tutorials. It adapted to address my own personal weaknesses. It identified where I was making mistakes, showed me my pronunciation errors graphically, and prompted me to repeat trouble areas until I reached the level of accuracy I had specified in the settings. Moreover, Rosetta Stone’s collaborative online “studio” sessions, taught by native speakers, involved learners from all around the world. I was thrilled to help make this transformative learning environment better: the Virginia-based software developers phoned a number of times to inquire about how their product, which had just been launched to for public use, worked for me. They’d tracked their own data and could see my level of engagement. They solicited my ideas for improving the product. This is the kind of interactive learning software and data analysis I’d like to help create in the future. Inspired by Rosetta Stone’s agility, Corsera data tracking, Khan Academy’s use of videos, and the ideas proffered in Zero to One, How Google Works, The Click Moment, and Disrupting Class, I will join the teams of people working to create new vehicles and methods for learning online. I’m glad to have had an opportunity to start with this module. While many of these tools don’t work as well as promised today, through creativity and further development, they can help us change the world. Christensen, C. M., Horn, M. B., & Johnson, C. W. (2008). Disrupting class: How disruptive innovation will change the way the world learns. New York: McGraw Hill. Johansson, F. (2012). The click moment: Seizing opportunity in an unpredictable world. London: Penguin Group. Thiel, P. & Masters, B. (2014). Zero to one: Notes on startup, or how to build the future. New York: Crown Business. Salmon, G. (2002). Online networking and individual development, in M. Pearn (ed. ), Individual Differences and Development in Organizations, Wiley Handbooks in the Psychology of Management in Organizations. Chichester, UK: Wiley. Schmidt, E. & Rosenberg, J. (2014). How Google works. London: John Murray. 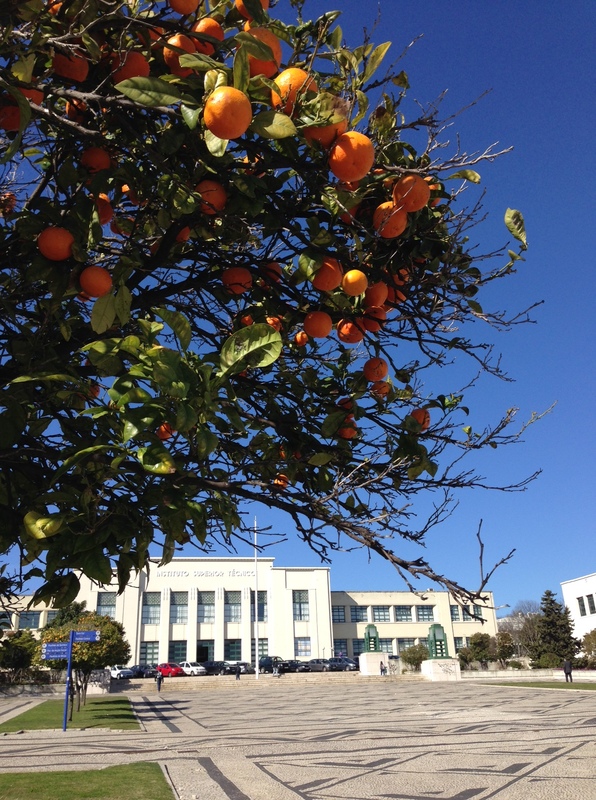 Orange trees along the entry IPS. 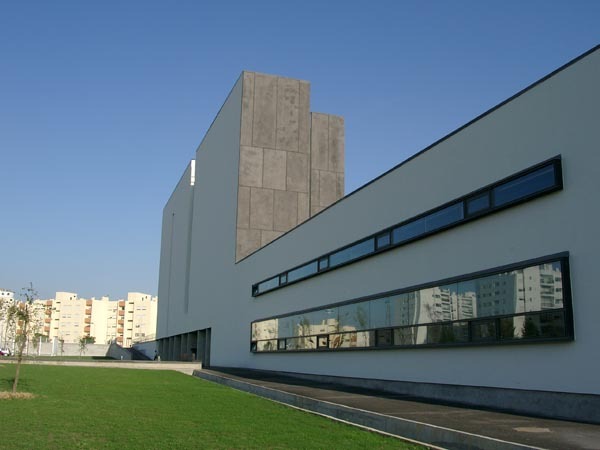 My Friday visit to the architecture school of the Instituto Superior Técnico (IST) was icing on the cake after a week of engineering interviews, conducted across the bay from Lisbon at Escola Superior de Tecnologia do Barreiro (a branch of the Instituto Politécnico de Setúbal, where I had interviewed students their experiences as engineering students as part of my Marie Curie research project). You might recall that I delivered workshops at IPS and IST as a Fulbright scholar, back in 2013 (click here for more). For a little more fun on my last day in Lisbon on this trip, I took the Metro over to IST. There, I visited the first year studio to hear student teams present their urban analyses of Lisbon districts. I toured the 2nd-5th year studios with my gracious faculty hosts and I wrapped up the afternoon discussing recent work with PhD students from the Architecture Research Group who I’d met on my previous trip to Portugal. The doctoral students — Maria Bacharel Carreira, Luisa Cannas da Silva, Mafalda Panheco, and Sajjad Nazidizaji — and thier professor Teresa Valsassina Heitor took me for a beer at the end of the day. Many thanks to my colleagues at IPS, Bill Williams and Raquel Barreira, who helped arrange and conduct interviews. Thanks also to the ISP students who provided interviews and the IST teachers and students who shared their work with me. I can’t wait to visit again! First year architecture presentation at ISP. Fourth year projects in progress, also done in groups. Fourth year projects at IPS. PhD students Maria Bacharel Carreira, andLuisa Cannas da Silva. Guy ambling home from work on a unicycle, paraplegic dog sporting his own wheelchair, man dancing to headphones on the boardwalk at sunset. Chamber pots on sale at the church bazaar, saxophonist sharing zydeco by the ferry terminal. So much to see, so much life to live. I’m in the port city of Lisbon, Portugal’s capital, this week to interview women here who are studying first year engineering at the polytechnic institute. I flew in Sunday morning which gave me a chance to see some sights. I find a new adventure around every corner, even though I’ve been here before.